Today has been somewhat of a lazy day. I put a pot roast in the slow cooker this morning and we have only left the house to go to church. I have pretty much been preparing for the arrival of my husband’s family. I am exhausted! 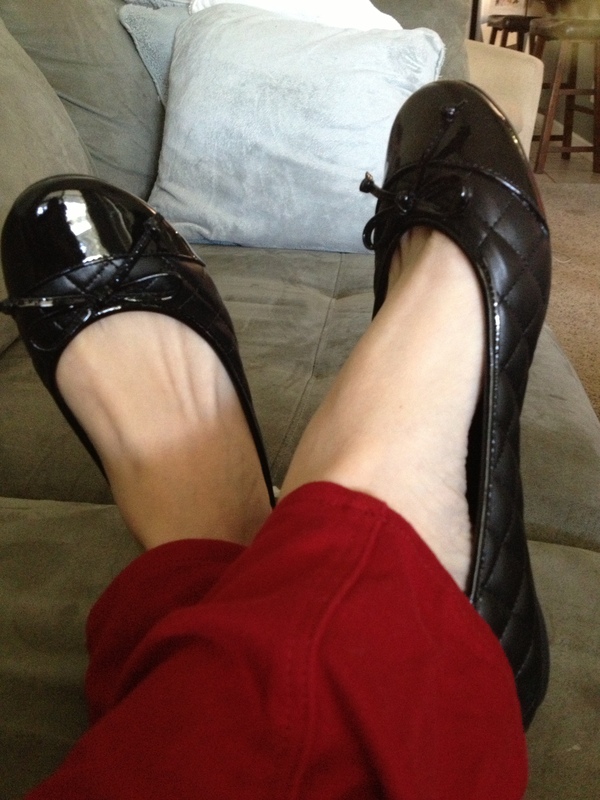 Here are my shoes for the day (the only time I actually wore shoes when we went to church). I got them at DSW over the summer. I love that they are quilted but I haven’t worn them enough so they need to be broken in a little more, which is why I can only wear them for a short time.